Ready to grow brag-worthy fruits and veggies when they arrive. Although it’s not quite Christmas yet, things are getting positively festive here at Plantables HQ. We’ve been experimenting with winter spiced versions of our herbal teas, doing our best version of It’s Beginning to Look a Lot Like Christmas and packing up boxes of plants to ship out just in time for the Christmas period. All that festivity and merriment got us thinking about presents for the people in our lives. 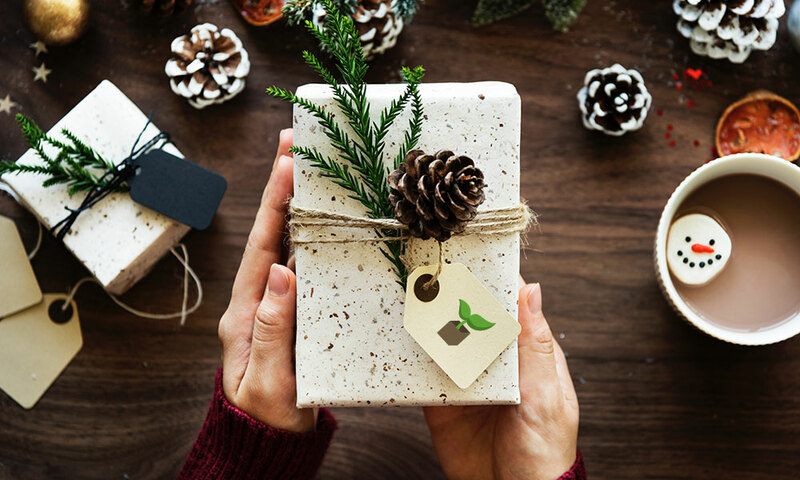 And, because we’re a family of green-thumbs, we thought we’d put together a list of Christmas gifts for gardeners of all ages. Our little ones love reading Superworm before bed. It’s the tale of a wriggly superhero who helps his friends out of sticky situations until he’s captured by the evil Wizard Lizard as his friends have to rescue him. As always with Julia Donaldson books, it’s an absolute joy to read aloud, that rare breed of children’s book that you won’t get tired of reading, even if they ask you to read it every single night before bed. If your little one is constantly inquisitive about everything, Peep Inside The Garden makes the perfect gift. If your little green-thumbs aren’t so little anymore, then there’s one thing that can make them feel all grown up and ready to tackle the garden: their very own gardening kit. If tools aren’t really your not-so-little one’s thing, here are a few other presents that go down a treat are: a personalised garden sign with their name on or any of these roarsome dinosaur plant pots. If you’re buying for a green-thumbed parent (whether that’s your parent or you’re buying for your partner from your kids), then the world is absolutely your oyster. If your foodie friends are anything like ours, they’re going to be into one of the following: growing their own fruits and veggies, cooking homemade meals and/or trying out funky new things to do with the things they’ve grown. Why not combine all three? This fermentation kit is $25.49 on Amazon and comes with everything they need to start pickling, fermenting and brewing up some funky concoctions, especially if you pair it up with a few specially selected fruits and veggies from our Grow Your Own Way section. By the time you’re a grandparent, you’ve pretty much got the whole gardening thing sorted. You’ve got your favourite tools, you’ve found your rhythm and you know your garden and it’s nuances like the back of your hand. Which means that gardening tools and things like that don’t make for great gifts. Instead, why not treat them to tickets for a once-in-a-lifetime experience: a trip to the Northwest Flower and Garden Festival? After celebrating its thirtieth year in 2018, the Northwest Flower and Garden Festival is one of the garden events in the world, renowned for its huge array of display gardens, seminars, and commercial exhibits that are sure to be a hit for gardeners of all ages. If you’re in Canada, they’ve even got a special offer (with a stay in a swanky hotel) for us north of the border. And finally, we just wanted to say, from all of us here at Plantables HQ, we hope you have a fantastic Christmas and a very happy new year. We’ll see you in 2019 with some very exciting news!